It is a proven fact that Seminars and Training workshops has since become an income generating activity for most Nigerians. In fact some Nigerians even use this as their major source of income. People are willing to pay for quality information, provided such information has the potential to educate them adequately on new and emerging business opportunities. If you are thinking of organizing a seminar or a training workshop sooner or later, this article might be very beneficial to you. To achieve great success in seminar organization, you must ensure you have good mastery of whatever topic you intend to teach or demonstrate. There are a couple of things you need to seriously consider when planning a seminar. One of such is your target audience. Your audience determines the type of information you will sell. You can decide to target secondary school students, secondary school leavers, university undergraduates, youth corps members or even working class citizens. Whichever category of audience you target, you must ensure that what you intend to teach is very relevant to them. School chalk production, Soap and Candle making etc. Youth Corps members will be willing to pay for and attend a seminar that promises to educate them on the aforementioned topics, this is simply because it meets their needs at that point in time. A good and conducive venue that is easy to locate. This is very crucial to the success of your seminar. Places you can use as your seminar venue include primary and secondary school classrooms, event centers, hotels and even churches. You will also need a public address system i.e a speaker and microphone, though it all depends on the size of your audience. A generating set will also be needed to power all the gadgets to be used. The best way to make money from organizing a Seminar is by charging a seminar fee. You can decide to charge a seminar fee of say 2000 naira. This fee covers all the expenses made and all the cost incurred in organizing the seminar. Assuming you have 100 attendees and each of them were to pay a seminar fee of N2000, that's a whooping N200, 000 straight to your bank account. 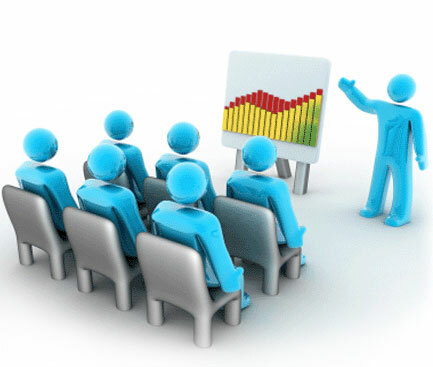 Another way to make money is by selling your Seminar or training materials to your audience. You can decide to package all the information to be taught in a CD or in a printed format and sell to all attendees. If the information is very helpful, they will be willing to buy. You can also decide to use the opportunity to sell your other products and services to the audience and make good money. Don’t forget to collect the email addresses and phone numbers of all the attendees, this is to enable you keep in touch with them in case you plan another seminar.